Geoff Heaps, our regular New Zealand contributor, sent in this post card from Dunedin. 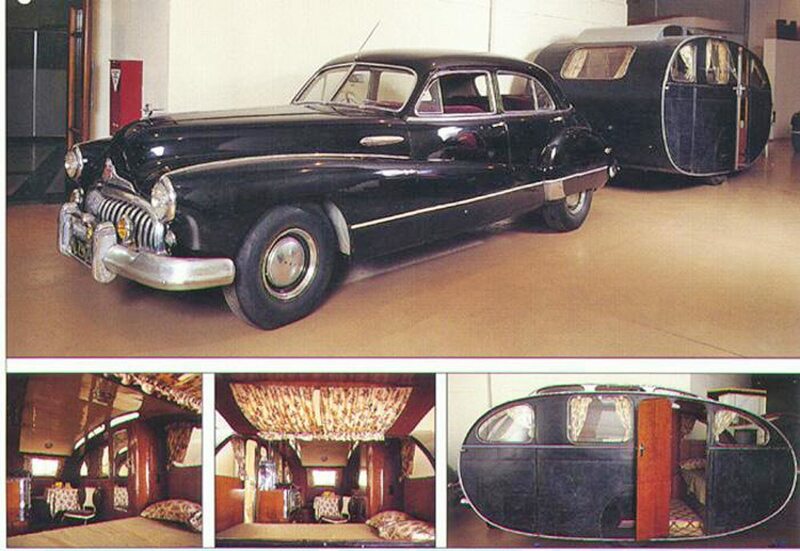 The postcard depicts a beautifully crafted period caravan together with a Fisher bodied 1947 Buick 8. The caravan dates back to when the Buick was made but remained in holiday service until the late 1980’s. Both are on display in the Otago Settlers Museum, Dunedin, New Zealand. Word has it, the museum has some great displays and well worth a visit when you are in the area.